While the Samsung Galaxy Note 9 is expected to hit the shelves in early August this year, there is already a lot of leaks and rumors surrounding its next flagship, Galaxy S10 expected to be released early next year. 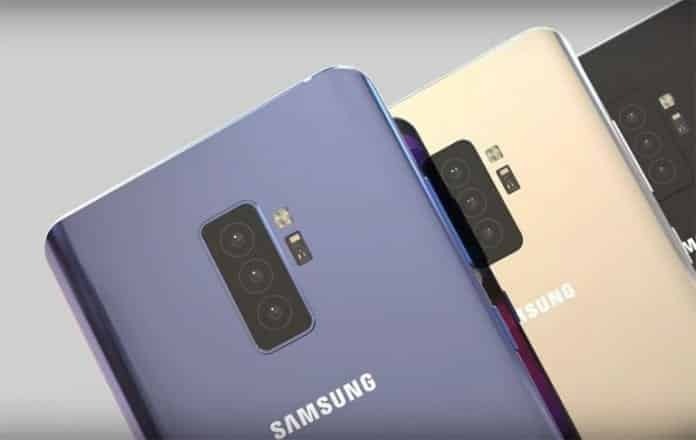 According to a new report from the renowned TF International Securities analyst, Ming-Chi Kuo, Samsung is reportedly planning to release three models of the upcoming flagship, Galaxy S10 in the year 2019 to match Apple’s rumored trifecta of iPhones. Ming-Chi Kuo believes that the S10 lineup will be launched in three different models: one with a 5.8-inch panel, another with a 6.1-inch display and a third one with a 6.4-inch screen. The two larger higher-end Galaxy S10 models will reportedly feature “ultrasonic FOD,” or ‘fingerprint on display’ technology, which will allow users to scan their finger by placing it on the screen. The fingerprint scanners on these devices will be embedded in the front of their displays. However, the smaller Galaxy S10 will have the fingerprint sensor on the side of the device. According to the report, the ultrasonic FOD part is made by GIS and O-film and based on a Qualcomm design and software. Kuo said he believes Samsung will “aggressively” promote the on-screen fingerprint scanning, as one of the biggest differences between the rivals. Samsung CEO Guo Minghao, who was present at a recent event in Wuhan, China confirmed that the company is set to integrate the ultrasonic fingerprint tech in the Galaxy Note 10, and on the Galaxy high-end “A series” slated for launch next year. Recently, there was also a rumor that the higher-end S10 might include five cameras, which could feature a triple camera setup at the back and dual cameras on the front. Samsung typically releases its new Galaxy S lineup in late February at the annual Mobile World Congress (MWC) trade show. It is scheduled to hold an event on August 9th to announce the Note 9. Probably, we might be able to hear some more news on S10. Keep watching this space for more updates!! !